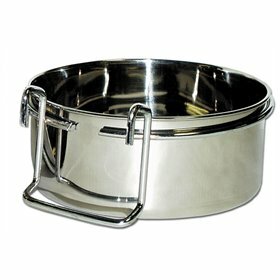 New, low price! Fight boredom in your flock. Nobody wants to be cooped up with nothing to do. 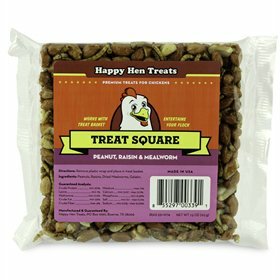 Give your chickens a fun activity when you hang one of these treat squares in a treat basket (sold separately). 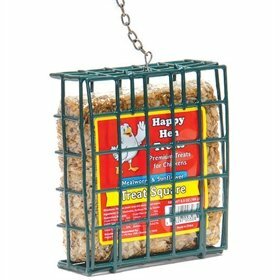 They will love having something to peck at--and you can feel great about giving it to your flock. 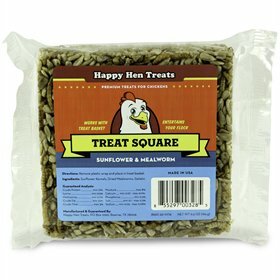 Made from simple ingredients chickens love, you can be certain your hens are getting exercise and a healthy snack. 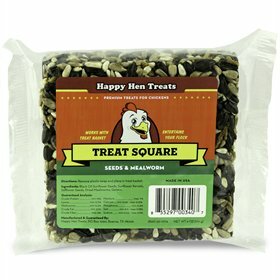 Experienced chicken keepers know that mealworms and corn are absolute flock favorites! Try each of our varieties to see which one your flock likes best.